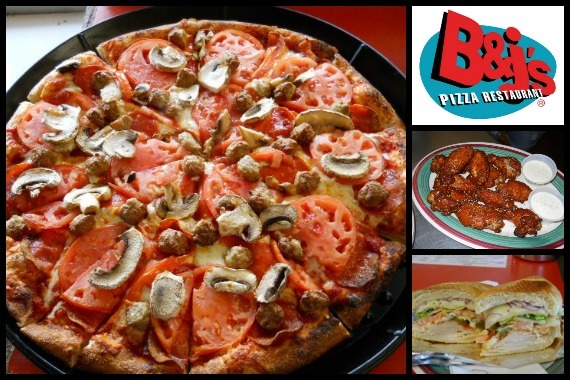 At B & J’s Pizza’s two Corpus Christi locations, we boast fresh, handmade pizzas and a huge selection of great beers! "Voting ends on Friday! Visit https://bit.ly/2W3B9Nt to nominate us for the best "Pizza" and "Beer List" under Food, Drink & Nightlife. " "Need something delicious to get you through the week? We've got you covered." "Just a reminder that we'll be closed this Sunday for the holiday. Hoppy Easter!" "Doughn't worry. You're at our place." "We love a story that's as handcrafted as our pizza. https://www.yelp.com/biz/b-and-js-pizza-corpus-christi-12"
Great pizza and lots of craft beer to choose from. Yes, I'd like to receive news from B & J's Pizza - Brew Pub. Sign up for the B & J's Pizza - Brew Pub Newsletter!